It has been well-documented that train-lover, Walt Disney was a frequent visitor to Billy Jones' Prune Ranch in Wright's Station (now Monte Sereno), since Jones was a longtime Southern Pacific railroad engineer who was responsible for reassembling the Gov. Stanford Engine Locomotive No.1 for the California State Railroad Museum. Disney also loved Jazz and was good friends with Louis Armstrong, who recorded an album of music from Disney classics, entitled, Disney Songs the Satchmo Way, in 1968. 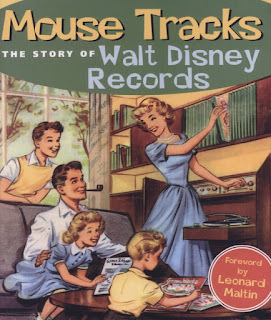 Unfortunately, the album, which Disney encouraged Armstrong to produce, was not completed until after Disney's death. 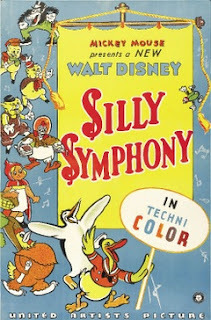 A number of compilations of Disney classics have been produced honoring Disney's love of jazz, including 2011's Everybody Wants to Be A Cat, Vol. 1 (featuring Roy Anthony Hargrove, Esperanza Spading, Dave Brubeck, Joshua Redman, Dianne Reeves, Bad Plus, Alfredo Rodriguez, Nicole "Nikki" Yanofsky, Glad Hekselman and Mark Knaff). The 1927 Al Jolson movie, The Jazz Singer, inspired Walt Disney to create the first synchronous sound cartoon,Steamboat Willie, in 1928, which also marked the debut of Mickey Mouse. Walt Disney performed all of the voices in the cartoon. Turn up your speakers then click on the YouTube arrow in the Mickey Mouse image below, to hear The Toccata and Fugue in D Minor, or, use the link below to hear the full soundtrack to Walt Disney's Fantasia. Unfortunately for Disney, the song Turkey in the Straw featured in Steamboat Willie, was later associated with many negative racial connotations and lyric variations by 1939. Although many of Disney's legacy productions display unfortunate and hurtful stereotypes of racial groups, the newer Disney productions seem to seek to correct those earlier missteps by highlighting the importance and traditions of many indigenous peoples and heritages. For many of us growing up during the early Walt Disney heyday years, Disney cartoons and films became our first introduction to dixieland music, jazz, classical compositions, swing, big band and roots music, serving as the beginning for a lifelong appreciation of not only the music itself, but the musicians who give the music life, though musicians were and still are, often relegated to the very end of most film and video closing credits. While the role of Disney and jazz might not be closely related to Silicon Valley history, our region's list of notable musicians from all genres, continues to amaze. 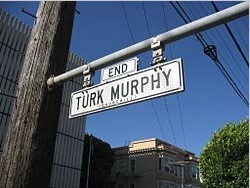 From the early days when future Metropolitan Opera star Irene Dalis and her parents lived in a Victorian at 124 Delmas Avenue in San Jose (now a registered city landmark), to the Dixieland heyday of Melvin Edward Alton Murphy, aka: Turk Murphy in San Francisco (he also appeared on the Ed Sullivan Show, produced songs for Sesame Street with Pixar Studios animator Bud Luckey and appeared with his band members and singer Pat Yankee at clubs along the Peninsula all the way down to Palo Alto), our regional music legacy is storied and far-reaching. 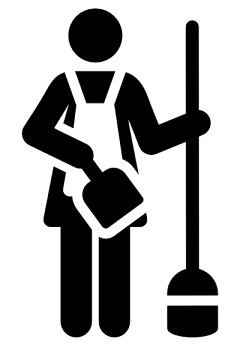 Apologies to readers who may find broken links in this blog. I recently used Google Blogger's option to convert this Web site from HTTP to HTTPS, creating a secure site. Unfortunately that transition seems to have deleted some photo caption attribution links, links to source materials, as well as links scattered throughout text on some of my Pages and Posts. I am working to restore lost links and attributions, which were previously coded to open in a new browser tab, another function lost during the conversion to HTTPS in Blogger. If you notice any dead links, please feel free to email me using my email address located on the right sidebar. Your patience during this transition process is appreciated. Tired of traffic, jammed freeways and crowded parking lots during commute hours? Let me share some tips on where to shop, dine and enjoy Silicon Valley after dark, long after the commute traffic has subsided. I've chosen these spots not only for their value and late hours, but because they can be reached by multiple side roads from many Silicon Valley cities.They are accessible for bike and public transportation riders, as well as drivers. Okay, since I mentioned food, let's start there. Harry's lost their lease on January 8, 2019. 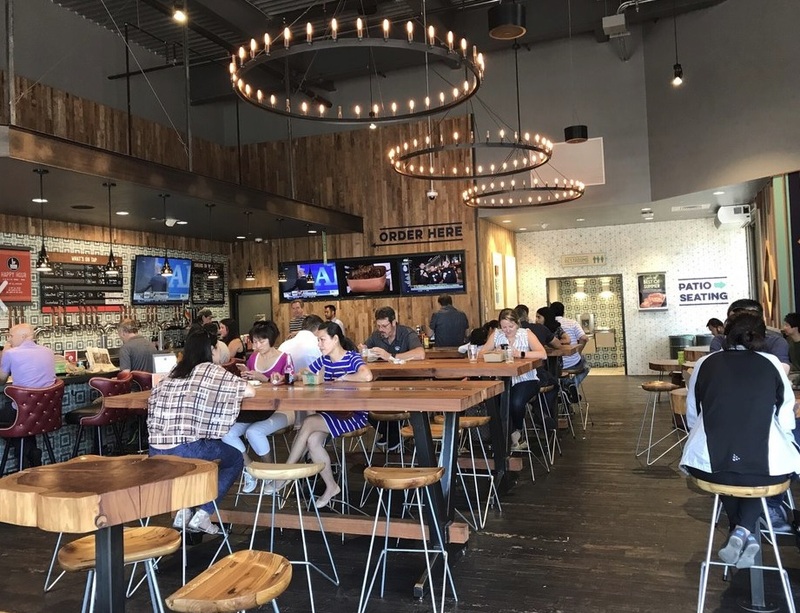 We have lost a community gathering spot in Silicon Valley which hosted meetings for many employee and nonprofit groups at no cost, provided attendees purchased a meal. You just don't see that type of generosity and community spirit at other venues here in the Valley. When the sudden news was posted about Harry's lease and the sudden closing, lines formed around the building to have one last meal at this wonderful establishment soon to be lost to developers and more bland multistory housing cubicles. The article below has been edited to become a tribute to Harry's Hofbrau, with thanks to the owners and staff for their generosity to many of us over the years. Truckers loved Harry's so many semi's were parked along the curb while their drivers refueled inside this cherished and iconic, now lost San Jose establishment. Likewise, some owners of Silicon Valley fine dining establishments could be found eating a huge hot turkey dinner at Harry's. (No, I will not name names. They know who they are.) This place was just that good. If you grew up in the U.S. or landed here at some point and missed large family meals with kith and kin, this was the place to go. 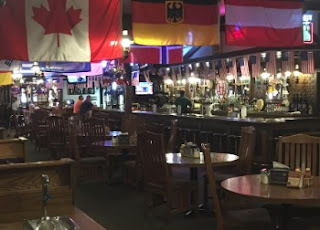 Harry's was open on many holidays and children were always welcomed, making it a mecca for both singles and families, plus those who wanted to eat a great meal while watching sports in the huge bar area. For vegetarians, there was a heaped dinner plate called a Super Salad for around $10 with tax, which included five choices from the many mixed vegetable salads, fruits and greens offered at Harry's salad bar. For the true Harry's experience, folks would arrive every Wednesday after 7 p.m. (yet before 8:30 p.m.), then get in line for their meal. They heard the happy, traditional standards and dixieland sounds of the Peninsula Banjo Band during their free, weekly 90-minute practice session in the rear of Harry's large bar area. This large group of about 20 musicians began as the Cupertino Banjo Band in 1963 and still perform at SF Bay Area venues and private parties to raise money for charitable causes. They provided a large tip jar on a music stand at Harry's, for contributions to those charitable causes, where they also placed booklets of song lyrics so attendees could sing along. Did I say the PBB are great people? You can bet your train whistle they are, and they deliver a great time for all ages. For a high-quality, affordable, plentiful meal and a warm, classic, family pub atmosphere, hat's off to the owner's and staff of Harry's Hofbrau, in all of their locations. Santa Clara Whole Foods Tap Room photo by Tiffany S.on Yelp! 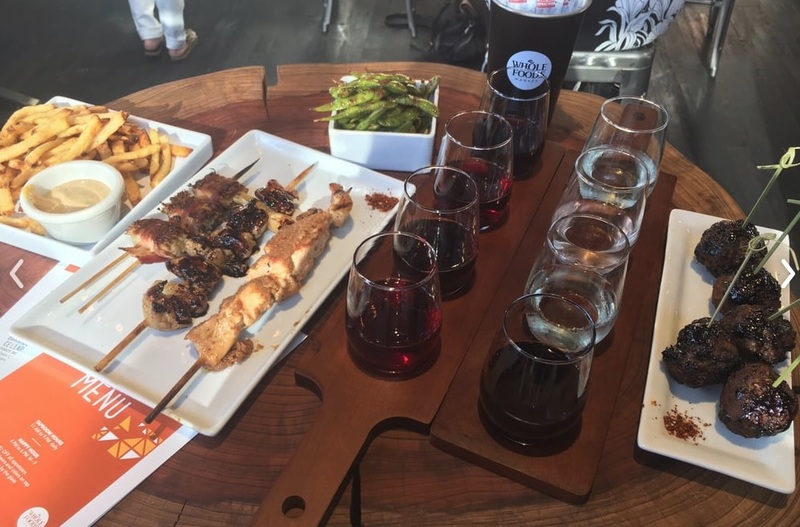 Santa Clara Whole Foods Tap Room menu bites and flights, photo by J.B. on Yelp! Need to buy some practical items during your Silicon Valley, night-hawk adventures? The Starbucks in this Target location has been recently remodeled on the large, 2nd floor mezzanine, providing a range of coffees, teas and blended fare, with nuts, protein bars, cakes, cookies and a few sandwiches, in a generous and comfortable lounge-like atmosphere with large ceiling to floor windows. You may automatically exhale and unwind, just by entering this lovely spot. Chamomile tea optional. You can shop at this Target location until 11:59 p.m., every day of the week, however, the Starbucks closes at 9 p.m. Be warned, this Starbucks does not make decaf coffee in the afternoons or evenings, however they may offer to make you a decaf Americano, if you really need your beauty sleep. Best late night place to go when something breaks and you want expert advice, like, "What's a sodium vapor light?" or "What's a flapper valve?" Best place to enjoy the smell of fresh cut lumber, to pretend you are in the redwoods and to enjoy all things home and garden-related, while walking around this huge store being schooled in home and yard maintenance topics. Their garden area is also open until closing at 10 p.m., which is a real treat. While visiting this particular Lowe's, you can also view the new, circular, glass-walled Apple Central and Wolfe Campus across the street on Arques, which is beautiful when lit up at night.